So where am I stood on the front cover of Fragments? 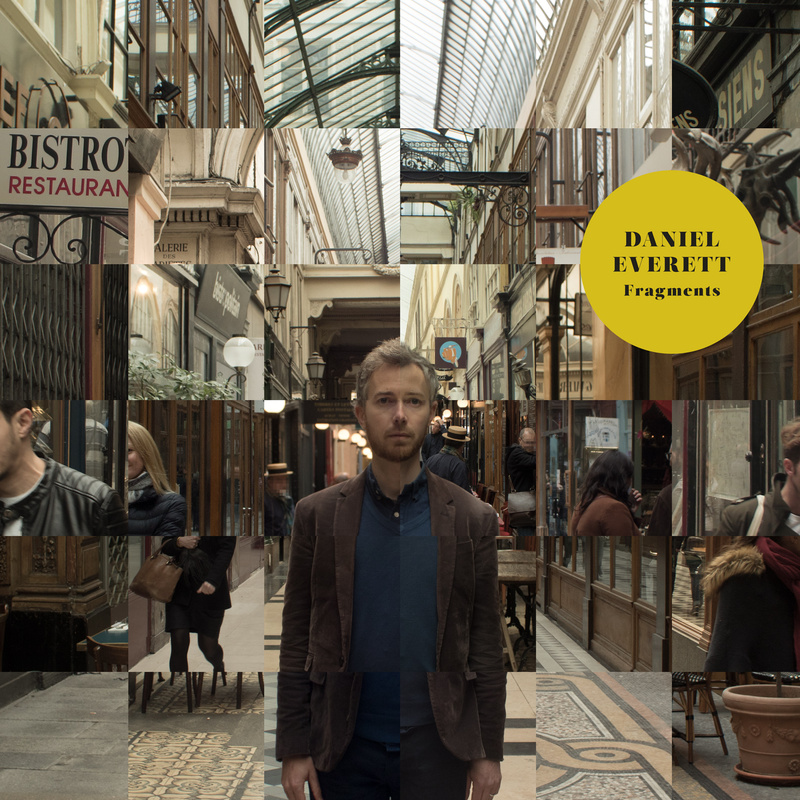 The image is a photo-montage of various shopping arcades in Paris. These narrow, glass-roofed passageways are lined with boutiques and bistros and date as far back as the 18th Century. At one time, there were over 120 dotted all over the city, but urban planning schemes cleared many and only 17 remain in the districts around Montmartre and Boulevard de Strasbourg. They were built to entice middle-class city goers off the filthy streets of early 19th Century Paris and into its covered passageways containing boutiques fronted with large glass windows, each displaying their wares in displays designed to closely mimic home interiors of the bourgeoisie. The intention was to recreate warm and dry grown-up ‘playgrounds’, in which shopping shopping and eating became a hobby and no longer a necessity. It was in these arcades that the concept of ‘window dressing’ emerged and where a shop proprietor could transform a padded chair from something merely to sit on into a symbol of a better way of living. 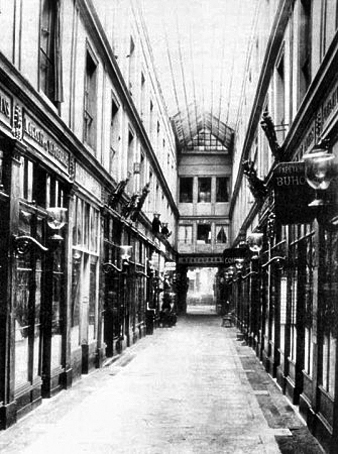 When the first department stores appears in the 1850s, the Paris Arcades began their slow decline. Glass ceilings darkened with grime and haute-couture boutiques gave way to second-hand bookshops, gaudy side shows and cut-price dentists. History is a story constantly rewritten and the Paris authority will constantly debate with its citizens and with itself about what best to preserve, renovate and memorialize in accordance with the politics of the present. In a city famed for its carefully preserved architecture, some of the arcades continue to gently decay, in part because many remain in private ownership and have escaped various local government urban regeneration projects. I discovered the Paris arcades 10 years ago and would often return to the more down-at-heal Passage Brady on rue de Faubourg Saint-Denis, where I would sit outside one of the Indian Thali restaurants and observe the vivid sounds, smells and sights. I could see layers of history behind the cracked paintwork, soot marks from decades of gas lighting, defunct signs and bleached advertising boards. On the tiled floor worn by thousands of footsteps lay dusty stacks of discarded newspapers, pamphlets and business cards and with all of this in mind, I would think about Walter Benjamin’s comment that history is more truthfully revealed once we pay more attention to the forgotten scraps and detritus of the past.